It is no secret that winters in Goshen are cold … like, really, really cold. But instead of getting down about the dropping temperatures, get excited about all that Goshen has to offer when the cold winds begin to blow! 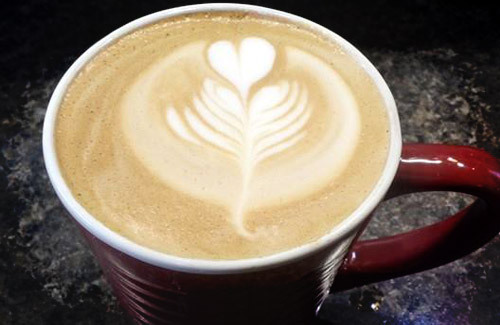 There’s a latte to love about winters in Goshen! Everyone knows hot drinks taste better when it’s cold outside. Luckily, Goshen has the BEST places for hot drinks in the universe (as voted on by anyone who visits). At the Electric Brew, you can lose yourself in a latte, you can find yourself in a chai, and you can step out into the cold with a delicious hot chocolate in your hand knowing for sure that everything is going to be okay. Each drink you order at The Brew is crafted by incredibly warm baristas and their fair trade coffee is roasted in-house! Honey’s Frozen Desserts offers 48 different varieties of tea from around the world along with pour-over coffee. How many times have you said, “Hey, what can I post go Instagram today?” Well, if you live in Goshen during the winter, you never have to worry because there is inspiration everywhere! Yes, we have ice, but we also have fire! The mixing of opposites to make something awesome, is a tale as old as time. Oil and vinegar, peanut butter and jelly, Florida Georgia Line and Nelly, and in Goshen, fire and ice. 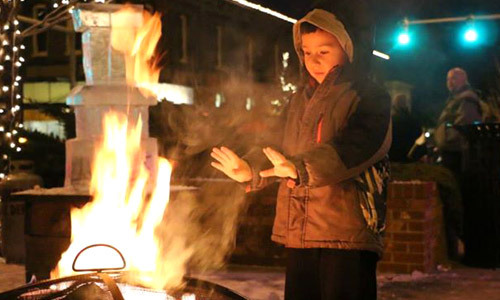 The First Fridays Fire and Ice Festival happens every January, and features ice sculptors from all over the Michiana area creating ice masterpieces right in front of your eyes. Fire torches are featured at the corners of Main and Washington Streets and warming/marshmallow roasting stations heat up the night. Visit the First Fridays web site for info on events throughout the year. In Goshen, there is so much room for outdoor activities! There is sledding at Abshire and OxBow parks, and cross country skiing for anyone daring enough for a winter adventure on Goshen’s trails! 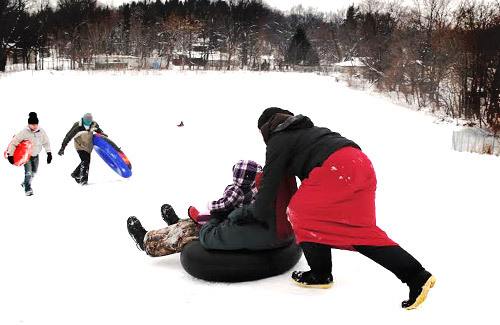 Ski and tube rentals are handled at the city parks administrative offices at 607 West Plymouth Avenue. In Goshen, we don’t have to stress out about how close bikini season is, because it’s far away. It never sneaks up on Goshenites, which gives you plenty of time to work on your fitness, get your body right and own that swimsuit come July. Same caption, different idea. Indulge longer, because in Goshen, you have time. 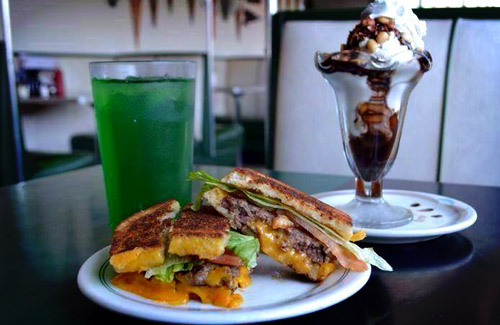 Have that Ah-MAZ-ing cheeseburger from South Side Soda Shop, enjoy it guilt-free knowing, 1) You’re going to be wearing a big coat that will cover up how full/satisfied you are, and 2) There’s plenty of time until bathing suit season! 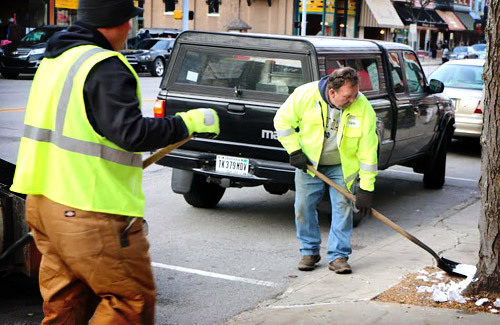 The people in Goshen are what makes our small city spectacular, and there is no better example of that then seeing everyone pitch in during the Goshen winter. Whether it’s neighbors shoveling for neighbors, strangers helping push cars without 4-wheel drive or simply smiling at someone passing on the street and saying, “This weather, am I right?” Goshen natives know how to spread the love (and warmth) during the winter season. Knit hats for everyone, because winter is craft season! 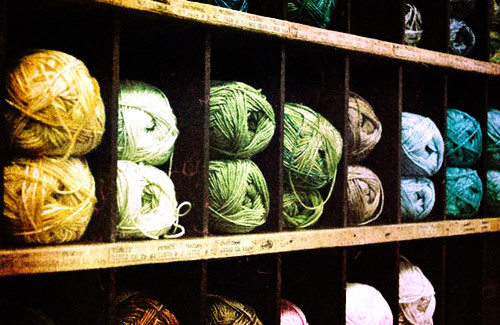 Taking up knitting, cross stitch or crocheting is only natural in the winter, and luckily we have Rêverie Yarn & Decor. In Goshen, there is always soup for you. 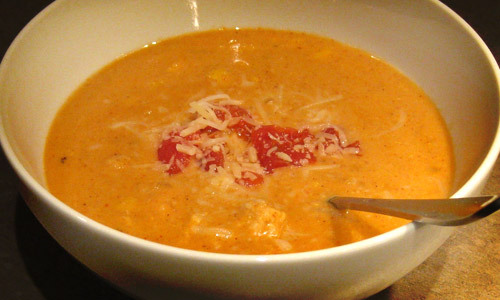 Homemade chili, tomato bisque, broccoli and smoked gouda, chicken tortilla, the list of of soups goes on and on and on. If “Chicken Soup for the Soul” has taught us anything it’s that soup is the best, and it fixes everything. Especially the winter blues. The Electric Brew has a differing homemade soups served during lunch hours, like spinach lentil, Italian vegetable and even cheeseburger! Enjoy some chicken noodle soup at Lux Cafe, a family-friendly diner on Goshen’s east side. Open 6 a.m. to 9 p.m. daily. Maple City Market offers two special soups of the day, made from organic and local ingredients! Check their Facebook for daily soup specials like potato leak or mulligatawny! 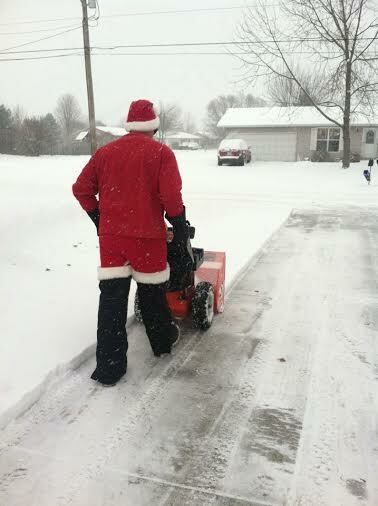 When you think of winter, it’s hard not to think of the holidays. Luckily, holidays in Goshen are incredible. Every Christmas, Goshen College fills the town with Christmas spirit at their Festival of Carols. 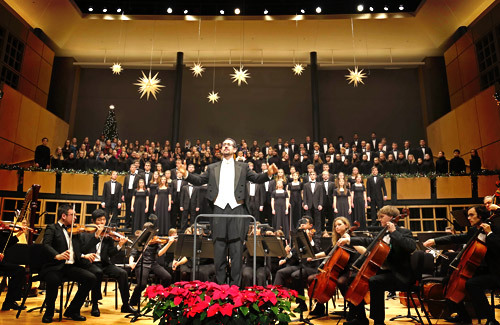 The festival includes the Goshen College Chamber Choir, Men’s Chorus, Women’s World Music Choir, Goshen College Symphony Orchestra, and Shout For Joy Children’s Choir. Love to sing carols yourself? There’s plenty of opportunity for audience participation during the show! If you can make it here, you can make it anywhere. You are a winter warrior! You have the eye of the tiger! Plus, spring, summer and fall are that much better for you because you survived the Goshen winter. 50 degrees? Might as well be 75!